Irish trade mission Bord Bia says more meat processors in Ireland need to look to supplying halal meat to meet growing demand in the Middle East market. 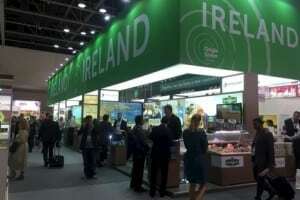 At this year’s Gulfood trade show in Dubai, Michael Hussey, regional manager for Bord Bia, told just-food there was a “big enough” opportunity for meat suppliers in the the Middle East, a market in which it is currently looking to boost supply. Hussey claims Ireland had been the number one supplier of beef to the Middle East before exports were banned following the BSE outbreak. The country has re-started exports of beef products into Saudi Arabian hotels and some retail chains, but it is yet to make an entry into the UAE’s retail sector. However, many countries in the Middle East, particularly in the GCC, have strict requirements regarding the halal slaughter of animals. While Australia and New Zealand have for some time now dominated when it comes to supplying the Middle East with beef, Hussey said Ireland could benefit from the currently weaker euro as the country’s processors could compete more on price.